Summer flowers improve our landscapes in so many ways. Without flowers, a summer landscape can become a monotone of deep green. Summer flowers break the monotony with color, texture and motion. They can draw the eye to highlight certain areas or distract attention from others. Summer flowers also offer pollen and nectar, critical for pollinators such as butterflies, bees and hummingbirds, turning your landscape into a needed wildlife oasis. Here is a list of the top ten summer flowers and how to use them. Sunflowers may be the best habitat plant to choose, if your goal is to attract the broadest diversity of pollinators. Native bees, butterflies, hummingbirds, finches, squirrels and a host of other wildlife appreciate everything these habitat anchors offer. Sunflowers thrive in full sun and average soil conditions without much assistance. They are available in a surprising range of colors in the yellow to orange and red tones. They attain medium to large sizes best suited to border beds, veggie gardens and open spaces. Sunflowers are annuals which must be planted from seed every year, although the seeds not eaten by birds and squirrels will sprout where they fall. 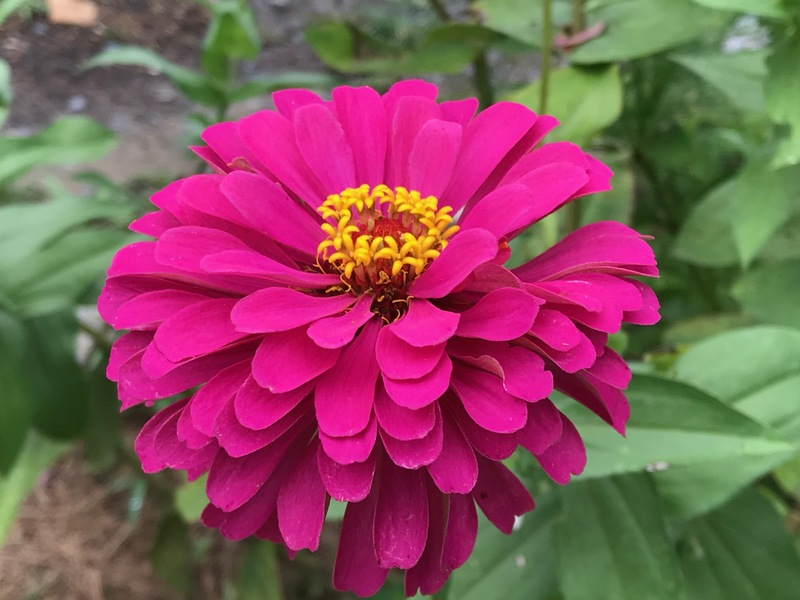 Zinnias are another wildlife powerhouse, offering nectar, pollen and seeds for a diversity of garden fauna. Their huge range of colors – including white, pink, red, orange and purple – and small to medium upright habit make them ideal for most sunny flower beds and container plantings. Petunias have long been a favorite of flower gardeners for their colorful trumpet-shaped blooms and ease of care. They work as well in color beds as they do in containers. In the south, traditional mounding petunias sometimes peter out in the hottest part of summer, but the newer trailing types hold well through the heat and offer the added benefit being dead-head free (no need to pick off the spent blooms). Shade gardeners have long used impatiens to provide a pop of color for shady areas. With the arrival of a disease called impatiens downy mildew, old fashioned impatiens are not the bulletproof option they once were. Look for New Guinea impatiens to pick up the slack. Begonias are a large family of (mostly) annuals that grow in fairly dry shade to filtered sunlight in the south, or filtered sunlight to full sun in the north. In addition to white, pink, red or orange flowers, they may have lush green or bronze succulent foliage. Some types even have patterned leaves that include shades of pink, bronze and green. The begonia family is useful in beds or containers. Purple coneflowers, also called echinacea, reach 18-36 inches tall, are useful by wildlife and (medicinally) by humans alike, and perform best in full sun. Their blooms last through summer, into fall. Purple coneflower is variable in its color palette, including white, creamy yellow, orange, red, purple, and chartreuse. Hibiscus are well known tropicals, but they also include several North American wetland-loving native species. Since colonial times, plant explorers and breeders have worked to create hybrids showcasing the best attributes of these amazing plants – most notably the gigantic flowers. You can purchase hardy hibiscus plants with white, pink or red flowers up to 9 inches in diameter! Some have colorful bronze or red foliage as well. Although not a requirement, these perennials perform well in wet locations. They require full sun. Meadow sage is a great option for sunny locations, both moist and dry. It stays below 12 inches tall and features a spreading mound habit. Color choices include white, blue, purple and magenta. Hostas are the ubiquitous shade perennial for good reason. They come in a huge array of sizes, leaf patterns and even some variety in flower color. The most brilliant variegated patterns serve well to accent lush green shady areas. Their mid-summer flower spikes attract bumblebees and hummingbirds. For a splash of white, red, pink or purple flower spikes that attract butterflies to mid-day shade, astilbe is the answer. The ferny texture belies a colorful display from mid to late summer. They may attain 24 inches wide and 36 inches tall. If you really want to make an impact in your landscape, plant summer flowers. Whether you have sun or shade, wet or dry, there are lots of fantastic choices, including something that would be a great fit for your yard. Find tools to help you with your yard this summer by clicking HERE. Summer flowers improve our landscapes in so many ways. Without flowers, a summer landscape can become a monotone of deep green.